Slitter, rewinder and hot melt adhesive machinery. 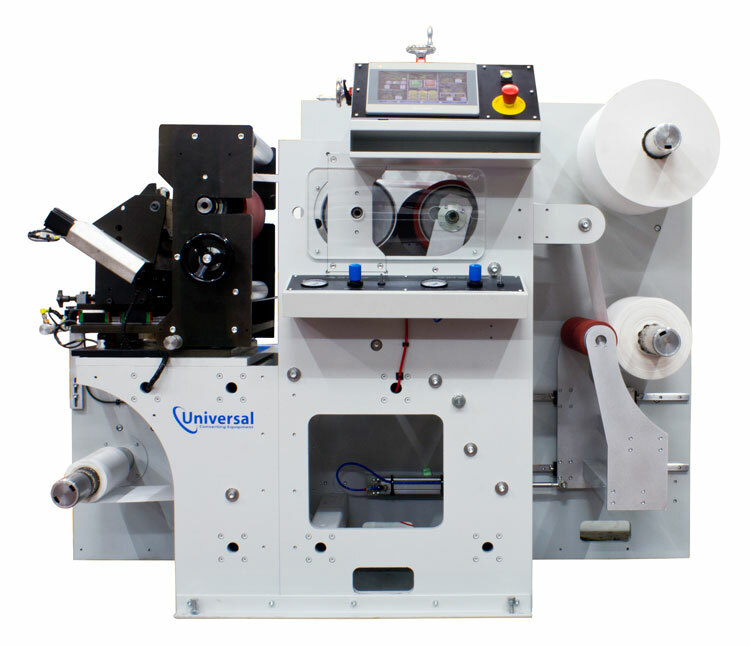 Universal Converting Equipment leads in the supply of converting equipment worldwide, including slitter rewinders, hot melt coaters, hot melt laminators, slitting machines and ancillary systems. 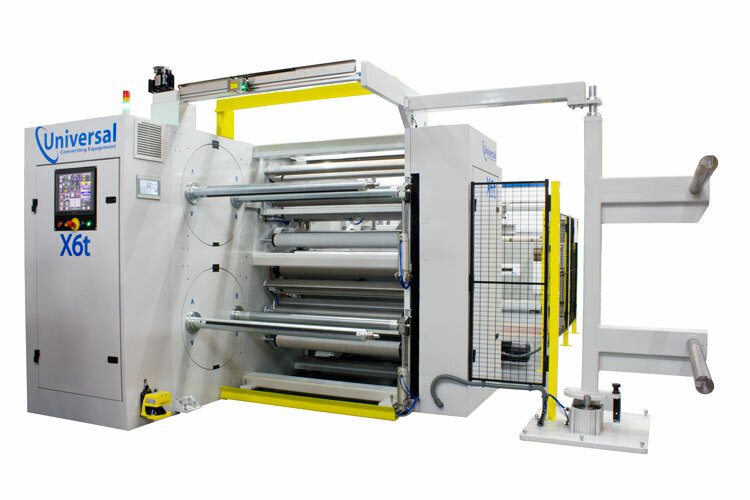 We design, develop and build slitter rewinders, salvage rewinders, core cutters, hot melt adhesive coating and laminating systems and ancillary systems. We develop and build both the machinery and the control systems that manage the machinery so we can offer a high level of customisation and swift support. Why Work With Universal Converting Equipment? Our machines utilise substantial, cross braced frames, precision bored as a pair. The rollers are aluminium tubes precisely machined and balanced. Adjustable parameters have been minimised, so an operator can be trained in just a few hours. We believe our slitters are about as simple to operate as a duplex centre-wind slitter can be. Universal also offer a wide range of ancillary equipment for slitting machines and other converting machines. These include automatic core cutters, drive and control system upgrades, web guiding systems and differential winding shafts. We provide a complete service to the converting industry from supplying individual replacement parts through to supplying the latest process equipment. Universal produces a range of hot melt adhesive coating and laminating equipment. Using our partnership with ITW Dynatec, we are able to offer the latest in high speed application technologies. Hot melt adhesive coaters are used widely in the manufacture of label stock, medical, security and non-woven products. 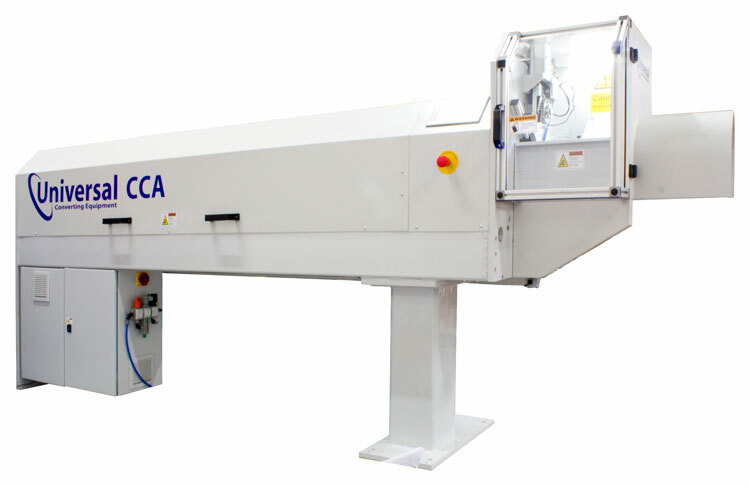 Hot melt coating and laminating machines are compact, low energy systems compared to solvent and water based adhesive systems. In addition to building slitter rewinders and converting machinery we also design and develop automation systems and control systems (and upgrades) for third party machinery. Our expertise and efficiency helps you minimise downtime, reduce job set-up lag and increase profits. Use the search box to search for replacement parts for your Slitter Rewinders and other converting machinery. In addition to parts and consumables for our own machines we also have a large stock of compatible spares for machines manufactured by Titan, Atlas, Ashe, Cameron, Kampf and many others.